"Dear MOODZ, I just wanted you to know what a great experience I had with Natalie yesterday. Changing hairdressers after 10+ years is definitely a traumatic experience, but Natalie was so sweet and did exactly what I wanted her to do, but gave me her input as well which is important. 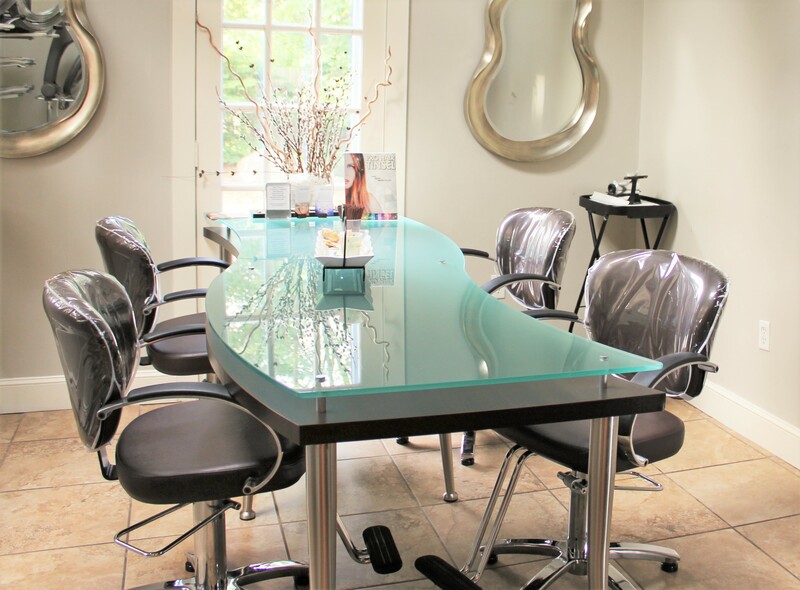 The experience certainly gave me great confidence in Moodz salon services." "Best experience ever! The staff was warm and inviting... I got a color, foil and cut, and I LOVE the results. It was a great end after my day of hectic Christmas shopping. Highly recommend." "Hello, I wanted to send a note to thank Moodz for all of your help on my wedding day! All of the girls felt amazing and everyone was complimenting on how great the hair and make-up looked. You guys did a great job!" "Say, I had very nice second visit to the spa over the holiday week, while visiting my family in Wayland. I now live out of state but while at the spa, I was so impressed... I decided to purchase a gift card for my mom in honor of her 75th birthday! Thanks for a great experience!" "Hi there, I just wanted to let you know how happy I am with my first cut & color from Moodz in Acton. My hair looks great! It looks shiny for the first time I remember in my life. Please pass on my thanks to Jenny." "I just wanted to send a thank you for the wonderful work the Acton Moodz did (hair and makeup) for my April 17th wedding. Everyone looked absolutely amazing, even once the 12 hour day was over! The bridesmaids and moms were gorgeous and were very impressed with Moodz salon. I appreciated how easy you are to work with and how flexible too! I will be sure to recommend Moodz to all my friends! Thank you again!" "Hi Moodz, Just wanted to thank you for the onsite services. Jodi was really sweet and did a great job. We'd love to have her come back for pedicures sometime! Thanks again! ""Hi, I just wanted to say thank you!! I enjoyed my time with Moodz on Sunday and all of us loved our hair. All of the stylist were very nice and did a fabulous job!"